Whenever I am lucky enough to get home from work at a decent time while the sun is still shining bright, I try to cook something. All that light and I just want to take pictures of food! I’m crazy I know. 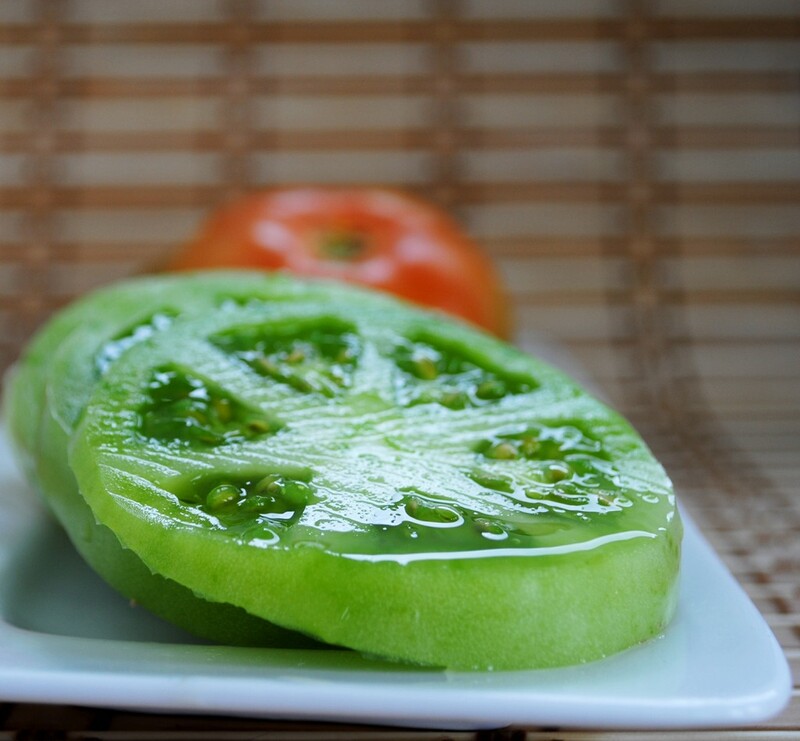 So after getting home from work I wanted to whip up a quick recipe and thought what better than fried green tomatoes, seeing as I had several in my garage (which my lovely mother worked painstakingly hard to pick from her garden – Thanks mom!). I have never even had fried green tomatoes, but I have had green tomato relish and really enjoy that, so what couldn’t be delicious about fried green tomatoes? I definitely enjoyed these, they had a unique flavour and I really enjoyed the tartness along with the rich flavours from the breading. I really want to put these in my next sandwich! Now after making the tomatoes, I also had cherry tomatoes which were not ripe yet, so I thought, how awesome would this be with cherry tomatoes? Well they were awesome. I topped each one with a little dollop of mayo and snacked away. These would make a very neat appetizer. My first venture into green tomatoes will not be my last. I will definitely be making something else with these and hope you can too! The Cherry Tomatoes are just beautiful! How did you get the coating to stick to them?? The cherry tomatoes are a little bit more difficult, if you have trouble getting the breading to stick, try soaking them in egg first, then flour and again in the egg before breading them! I like your site and esp. I like the way you answer an enquiry of any one of your viewers who may have a question re your recipes or posts. . .great job, and thanks jb. . . I found some interesting information on your website and have added you to my bookmarks. Can you please suggest any other sites with good quality information on this topic, so that I do not have to carry out numerous searches? Do you mean cooking sites? We love http://www.saucysprinkles.com; http://www.thepioneerwoman.com and http://closetcooking.blogspot.com/, we’ve even used sites like Wilton’s for tips and tricks. Largely, our inspiration comes from local food and great food sites like Taste Spottings, Food Gawker, etc. Let us know if you need anything else!! 🙂 We’re happy to hear you like our blog & bookmarked us! Look forward to having you visit again soon! 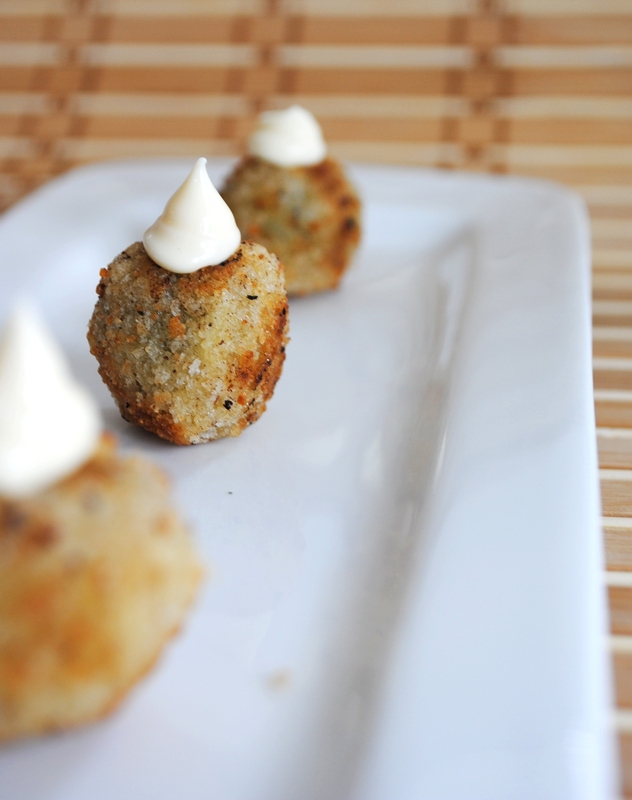 I love the idea of mini fried cherry toms – so cute! We’ve had an awful year for the tomatoes (too much rain, not enough sun) so have a glut of greenies – shall give this a whirl! Mmm…I have so many green tomatoes right now and we are having fried green tomatoes tomorrow night. love the idea of the cherry ones though! these look amazing! Love that they are little bite sized treats! these look so tasty! alas, my culinary activities are on hold to study abroad. but they make my country heart smile.